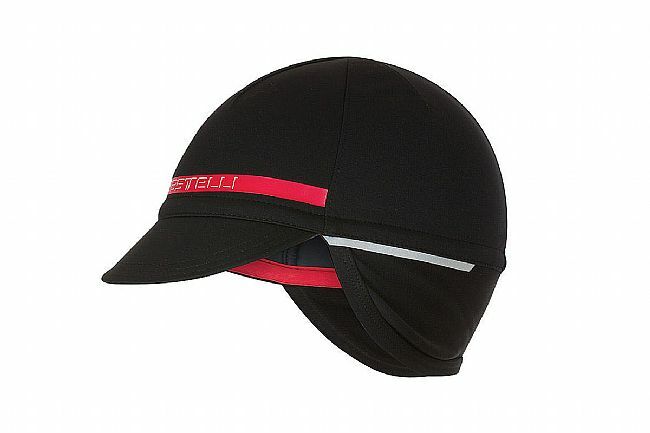 The Difesa 2 Cap from Castelli features a warm thermoflex earflap that covers both ears as well as the back of the neck. Composed primarily of water-repellent Gore® Windstopper® fabric, this cap is ideal for wet and windy conditions. At just the right length, the brim shields the eyes from the sting of raindrops as well as it safeguards against the sun’s blinding glare. Reflective detailing on the back and side panels increase the rider’s visibility and overall safety in low light conditions. Love this, fits great not bulky and really does what it says it will do. Far warmer than expected and because it sheds rather than absorbs moisture, it stays warmer than even a wool cap. Wearing it on every ride this winter. Brim keeps its shape and yep, keeps at least some of the rain off glasses.